Whatever one thought of Harvard law professor Larry Lessig’s single-issue presidential bid, focused exclusively on campaign finance reform, there is no question in most quarters that his exclusion from the Democratic presidential debates has been unwarranted. C’mon! Jim Webb and Lincoln Chafee at the dais, but no Larry Lessig? The NPQ Newswire had raised questions about the practicality of a presidential run based on the single issue of campaign finance reform, predicated on his resigning the presidency (if elected) once comprehensive campaign finance reform was passed by Congress, but his message was no less valid than much of what has been presented on CNN, Fox, and CNBC as the contributions of the current crop of candidates to political discourse. He admitted on Bill Maher’s HBO show that his promise to resign had been “stupid” and wrote in The Atlantic that the idea had been “a bust,” but his message about the deterioration of American democracy under the influence of big money wasn’t. Although Lessig collected over $1 million in campaign pledges from supporters of his cause, he has now decided to drop out of the Democratic race, citing the party’s debate rules. Although Lessig hasn’t ruled out running as an independent, it doesn’t appear that he is really leaning hard in that direction. The question is whether he will now take a different tack to promote campaign finance reform. 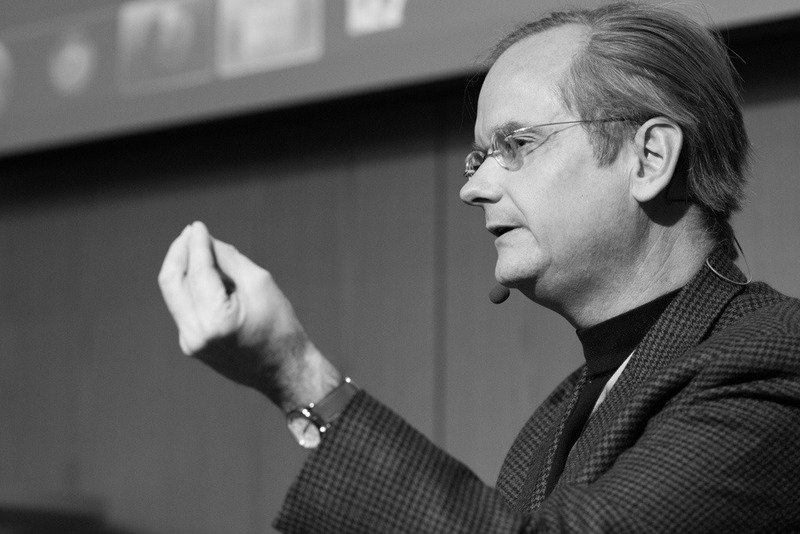 In his withdrawal announcement, Lessig promised to consider what he might do to campaign for “reform now” despite dropping his presidential bid. It would have to be something different than his 2014 Mayday PAC effort, which distributed more than $10 million to pro-reform candidates, most of whom lost their elections in overwhelming fashion. Although he was barely a blip in the polls, the Wally Cox look-alike Harvard professor with the wire-rimmed glasses got some free press during his brief candidacy and is in some circles now much better known as a campaign finance reform advocate than a Harvard professor, Mayday PAC promoter, and referendum presidential candidate. He could leverage his higher public profile—and, presumably, the people his campaign recruited as donors and activists—to put himself to work on behalf of local and statewide campaign finance reform endeavors, both making headway like the Portland and Seattle ballot victories reported by the NPQ Newswire earlier this week and building the bottom-up grassroots coalition for reform that might have been the needed supporting architecture for his putative campaign. In Hawaii, a potential ballot initiative would amend the state constitution to say that spending money to influence elections is not a protected free speech right. Massachusetts’s voters may also get to vote on a constitutional amendment that would clarify that corporations are not people and therefore can be regulated for their political contributions and expenditures. The Wisconsin Amendment to Overturn Citizens United Ruling Question would ask the voters to essentially advise the Wisconsin congressional delegation and the Wisconsin state legislature regarding overturning the Citizens United Supreme Court decision by a federal constitutional amendment. The Berkeley Fair Elections Public Campaign Finance ballot initiative would permit public funding to match small donations from citizens at a rate of 6-to-1, estimated to cost the taxpayers $460,000 a year or $1.85 million for a four-year election cycle. In Oregon, two groups, one of which is Common Cause, are working to get an initiative on the 2016 ballot that limits the amounts of money corporations, unions, and individuals could contribute to political campaigns.